Million-maker Yoo Ah-in in "Six Flying Dragons"
Actor Yoo Ah-in's newest drama is being highly anticipated. While the first episode of the new SBS drama "Six Flying Dragons" is coming on the 5th at 10PM, Yoo Ah-in's character of Lee Bang-won is in the center of attention. "Six Flying Dragons" is about 6 characters who stood against evil during the Koryo times. The drama has an outstanding cast and is said to be a prequel to "Deep-rooted Tree". The casting of Yoo Ah-in, the million-maker from "Veteran" and "The Throne" is the main reason of all this anticipation. "Veteran" holds a record of 13,210,000 until the 29th of September and "The Throne" is at 4,790,000 on its 14th day and climbing. Yoo Ah-in pulled off the role of plutocrat Jo Tae-ho perfectly in "Veteran" and he played Prince Sado in "The Throne". Yoo Ah-in chose yet another historical drama. His nicknames 'million-maker' and 'the hottest actor' may pressure him into his next work but he's calm. 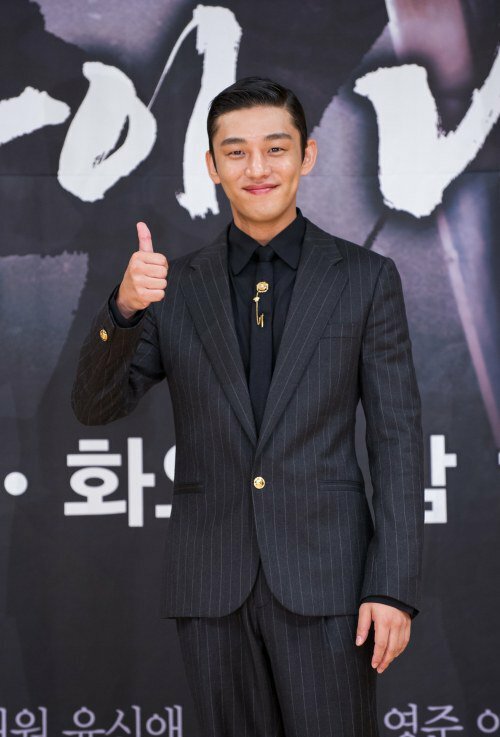 At the premiere of the drama "Six Flying Dragons" last week, he said, "I am not pressured because I have no case of a greatly successful drama. I just hope people recognize the quality of the drama. The writers made Lee Bang-won look diverse and dimensional. I did my best on my part and I think the most important thing is how the drama sparks". Being successful is not only one person's job. However, Yoo Ah-in plays a big part in the success of a drama or a movie. Will "Six Flying Dragons" bring about a new Lee Bang-won? "Million-maker Yoo Ah-in in "Six Flying Dragons""